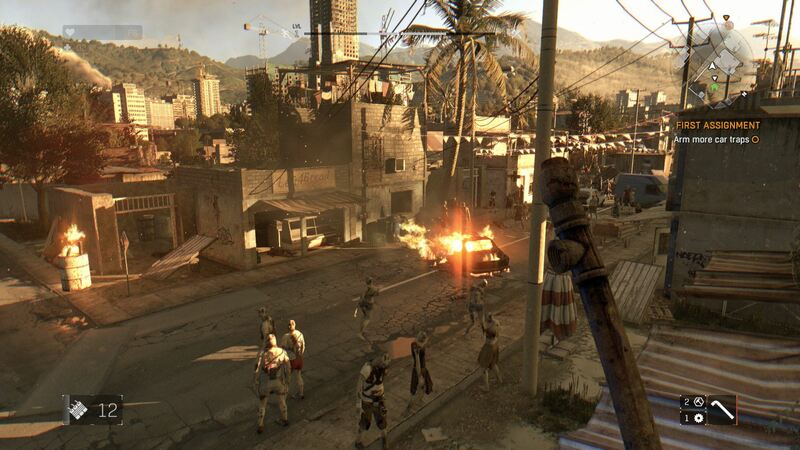 What is Techland’s Dying Light? Is it a first person, action adventure title? Is it a post-zombie apocalyptic hack and slash title? Is an exploration-based game rich with back-story for the world annihilated by the undead? Is it a third world diatribe on the segregation of society between those of solidarity and those who opt for survival of the fittest? A parkour simulator survival horror? Over the past few years, we’ve looked at Dying Light as the next step in the first person, free-running genre which Mirror’s Edge pioneered. We were finally going to experience the sensation of fleeing fast-moving zombies, a la Dawn of the Dead (2004), and taking that pursuit across rooftops and through busy streets. To say that Dying Light in its final incarnation dashes some of those hopes is an understatement. Dying Light focuses on Kyle Crane, an agent of the GRE infiltrating the city of Harran. Harran has become overrun by vicious, powerful zombies, causing a breakdown in law and order and the division of the city into two key factions. These are the Tower – typical do-gooders who want to rescue survivors by any means – and Rais’s gang – bandits who murder, loot and pretty much hoard all of the supplies the GRE airdrops in. "Try as you might to resist, you’ll still care for these oddities as you run missions to scavenge supplies, hunt down airdrops from the GRE, set up traps and more. These initial escapades prepare you for the movement system in Dying Light." Though Crane has been sent in to find Kadir Suleiman, a man with a file on the virus infecting Harran that could harm the GRE’s image, his mission finds him intersecting with both Rais and the Tower. On the surface, Dying Light’s narrative comes off as straightforward – sometimes even clichéd – in its plot developments but manages to keep you interested as a whole. The various characters are…odd. There’s a disconnect between their dialogue and what they’re actually trying to communicate. It doesn’t make for awful characterization (the audacious accents and hammy voice acting more than help with that) but Dying Light’s cast is full of oddities. The list of stereotypes in the game’s story doesn’t help either. You have a mysterious tough girl who saves the protagonist, following which he begins to harbour feelings for her; atypical white man arriving to help a city when it can’t help itself; a second atypical white man who seemingly has all the answers; a smarmy know-it-all boy genius; a cold-hearted ruthless organization masquerading as a do-good, charitable front; and so on, and so forth. Try as you might to resist, you’ll still care for these oddities as you run missions to scavenge supplies, hunt down airdrops from the GRE, set up traps and more. These initial escapades prepare you for the movement system in Dying Light. Crane can grab ledges and clamber up buildings, leaping from one structure to another. He can also slide through openings, shimmy across ledges and perform other daring activities in the course of the game. 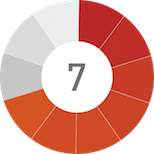 There are more manoeuvres to be learned and Dying Light smartly segregates them into three categories – Power, Agility and Survival. Complete missions and unlock Safe Zones to level up your Survival tree which will let you carry more weapons and items, craft different recipes and increase your chances of staying alive. Agility is levelled up by parkouring throughout the city and performing one death-defying jump after another – it also helps in dodging zombies. Finally, when all else fails, the Power tree will let you execute various killer moves on enemies including a lethal curb stomp and an admittedly awesome drop kick. "During the day, zombies can be hilariously inept and it doesn’t help that the added threat of being out at night isn’t a more overbearing factor than it really is. At times, it’ll be unfortunate more than terrifying, the zombies serving as a nuisance more than a real threat." The core of Dying Light’s gameplay is fun. There will be some awkwardness in leaping from ledge to ledge and properly timing your jumps. But as you become more comfortable in controlling Crane, you’ll come to enjoy the freedom of movement that is being offered. There is the odd control snafu at times but on the whole, you never feel as though you’re not in control. Couple this with various speed upgrades and the world seems to rush by at times. However, one of the key problems of Dying Light is how it manages that speed. The game’s modus operandi is that its zombies don’t tend to trouble you in the day time. They’ll shamble aimlessly and attack you if you get too close. At times, they will become more violent if louder sounds are made (which also leads to the appearance of “Volatiles”, fast moving zombies that can follow you continuously) but for the most part, they’re easy to navigate around. 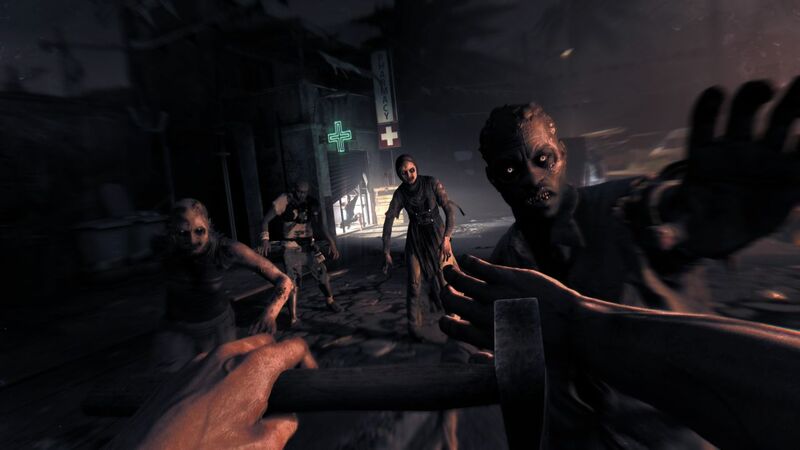 Come night-time, however, and the zombies become smarter, stronger and infinitely harder to shake off. Much of the tension from Dying Light is in the form of completing various tasks before the sun goes down and you’re trapped in the darkness. Of course, being out after dark means doubled experience, rewarding you with more opportunities for upgrading your skills. You’ll be forced out into the dark at some points as well and this leads to the game’s tenser chases. That is, until you figure out how to give your enemies the run-around and just keep farming your after-dark activities for more experience. During the day, zombies can be hilariously inept and it doesn’t help that the added threat of being out at night isn’t a more overbearing factor than it really is. At times, it’ll be unfortunate more than terrifying, the zombies serving as a nuisance more than a real threat. Humans with firearms are more dangerous, of course, but the agile zombies should have been the stars here. Dying Light wants to appeal to several different target audiences at once. There’s no problem with incorporating elements from other games so long as they fit within the context of your story. However, the concept of “synchronisation points” seems to be a part and parcel of every open world game and it’s starting to feel stale. Collectibles abound in the world but they serve little to no purpose, only barely providing information on the setting you find yourself in. "Though Techland opted out of many advanced PC graphics options, the open world of Dying Light feels vibrant and alive. From burning cars to the puddles left behind after strong downpours, Harran comes alive in a beautiful but brutal way." The horror aspects don’t feel that pronounced either, manifesting as jump scares more than genuine dread or terror. There are some scary moments, such as when you face some of the larger enemies with shabby weapons or when you embark on your first excursion into the night, but for the most part, Dying Light’s horror takes a backseat to its action-adventure set pieces. And while the game is superior to Dead Island in terms of movement, it still has a ways to go in terms of combat. While there are some really cool moves to pull off, you’ll still find yourself swinging pipes and bats in a clunky manner, taking a single enemy down only after multiple swings. Heck, for the beginning portions of your adventure, you’ll struggle to take down a single zombie with anything less than a full stamina bar. The overall attack mechanisms take getting used to and it doesn’t help that initial weapons break down quick. You’ll be able to upgrade your arsenal with throwing stars, swords and various handguns – which have the trade-off of generating too much noise – but it’s a long slog until then. Though Techland opted out of many advanced PC graphics options, the open world of Dying Light feels vibrant and alive. From burning cars to the puddles left behind after strong downpours, Harran comes alive in a beautiful but brutal way. Despite the lack of other anti-aliasing solutions on PC, Dying Light is optimized to run at very strong frame rates across a variety of GPUs while maintaining a 1080p resolution and SMAA T2x. It’s worth noting that one had to tone down some of the shadow quality settings due to some frame rate chugs in the open world, that too on an Intel Core i5, GeForce GTX 660 and 8 GB of RAM. That being said, the changes required were minimal and those with slightly better hardware shouldn’t see any problems even at high settings. 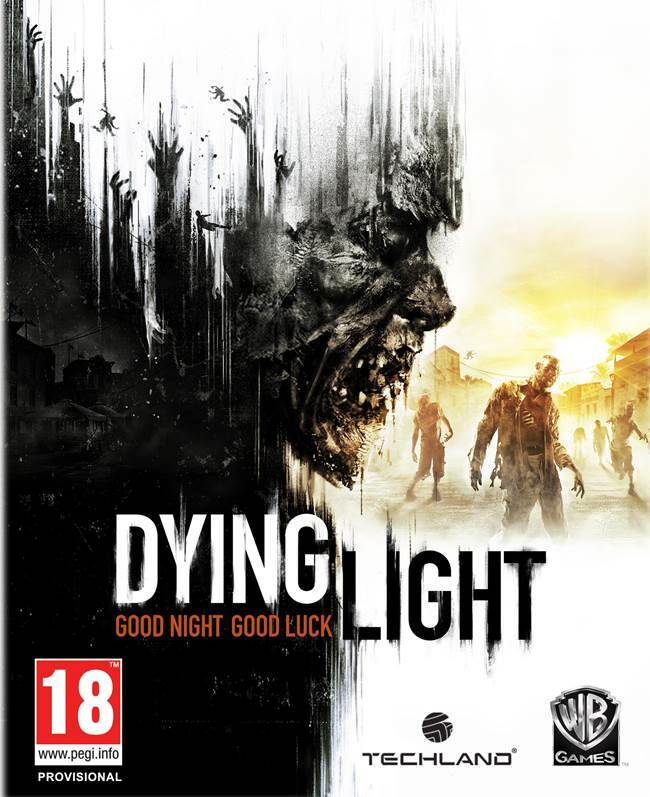 "As an action adventure title, Dying Light's various elements form a rough but cohesive whole. Players hoping for a harrowing escapade across rooftops with fleets of zombies in pursuit may be slightly disappointed..."
Dying Light still suffers from the odd bug here and there with characters clipping into objects, corpses glitching into surroundings and whatnot. It’s nothing to break the game and once again highlights why open world titles are so hard to pull off in this day and age. That doesn’t change the fact that it’s annoying when it does happen. 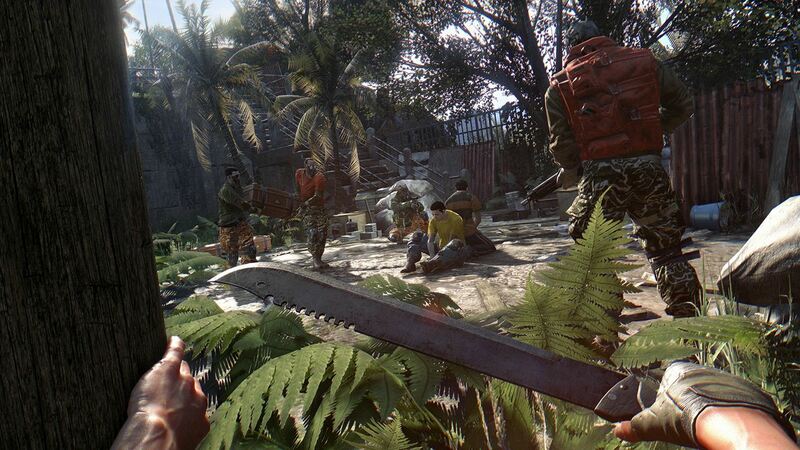 There are still plenty of other layers of Dying Light to penetrate, including the co-op mode which allows players to compete against each other in various mini-games or survive together. Be A Zombie is a diversion, at best, and the ability to have other players invade your game gets tiring after a while. 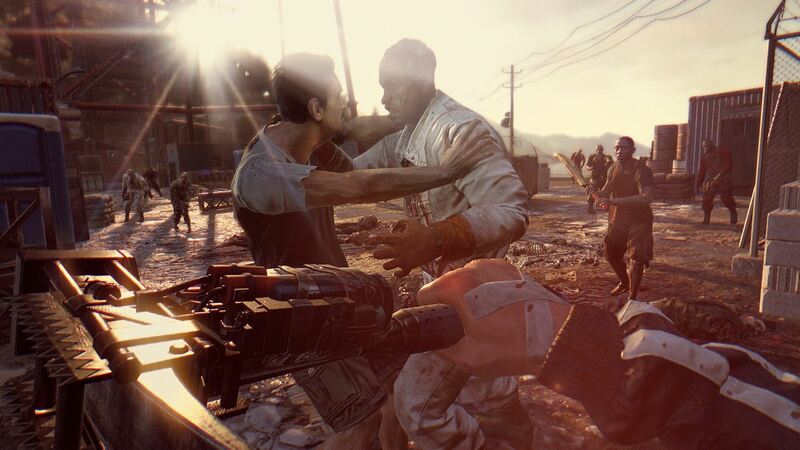 As an action adventure title, Dying Light’s various elements form a rough but cohesive whole. Players hoping for a harrowing escapade across rooftops with fleets of zombies in pursuit may be slightly disappointed; those interested in a zombie mash marathon perhaps more so, at least initially. This isn’t to say Dying Light is no fun at all or that it’s a waste of your time. It’s jack of all trades approach doesn’t bring about its downfall but it certainly serves as a reminder of what could have been. Great looking visuals with strong attention to detail. Large open world which is easy to explore. Fun and tense chases at times. Story mode is interesting enough. Activities and co-op enough to serve as a decent time-waster. Some iffy AI elements. Overall tone and atmosphere isn't as cohesively "survival horror" as loose open world thriller. Odd glitches here and there. Cliched characters and audacious voice work. Clunky combat.